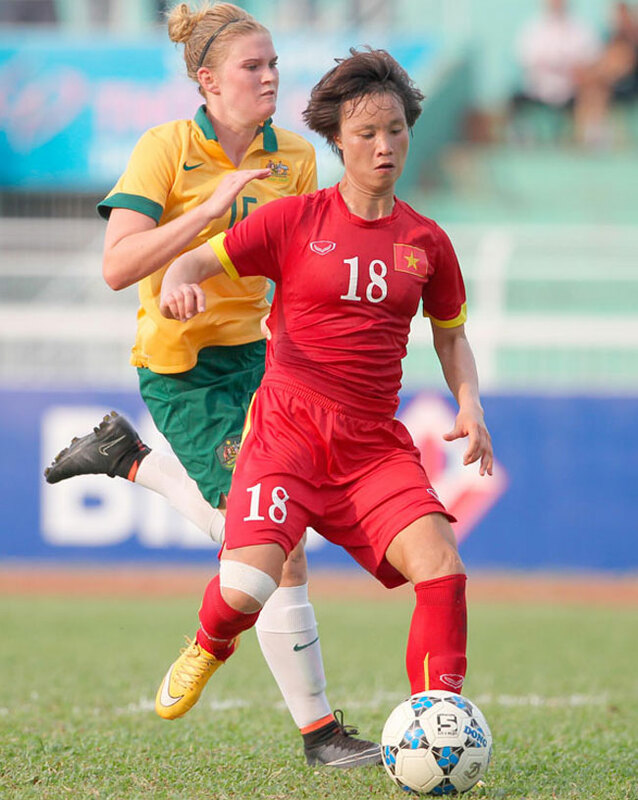 HA NOI (VNS) — Top striker Nguyen Thi Minh Nguyet scored two goals, securing a 2-0 win for the Viet Nam Women's football team over Thailand in the Asian Zone's Rio de Janeiro Olympic qualifications in Mandalay City, Myanmar yesterday. Viet Nam amassed nine points in three wins in the second round, two points ahead of Chinese Taipei, who lost 1-3 against Myanmar yesterday. In the 40th minute, Nguyet netted the ball with a close range shot, leaving Viet Nam ahead in the first half 1-0. She then struck gold on a rebounding ball in the 84th minute, completing a convincing win for Viet Nam in an otherwise tough match against Thailand. Nguyet also scored twice in Viet Nam's 2-1 win against Jordan on Sunday, and twice in a 4-2 win over Myanmar in the opening game last Friday. She seems on track to emerge from the world cup qualifiers with a two-two-two signature.